They’ve been playing at Allianz Arena for 11th consecutive year. At the same time they’ve been trying to leave the stadium for the 10th year. 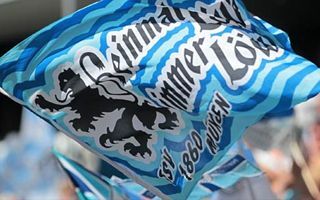 So far this year TSV 1860 have been attracting 21,707 people per game. That’s impressive for a team desperately fighting against relegation, but inside Allianz Arena that’s not even 30% occupancy. No wonder matchday revenue is scarce and we’re written numerous times about the dire situation the “Sechziger” face while playing inside their rival’s home. We also wrote that potential relegation would have one major upside: TSV could relocate to their old Grünwalder Stadion in downtown Munich. The stadium is too small for 2. Bundesliga and while it also needs some effort to comply with 3. Liga regulations, relegation could mean return home for many fans. So what haven’t we written about? The late news of advanced talks regarding the potential stadium at Messe München (shown below) include desired capacity of up to 52,000. Next week two architects from Abu Dhabi are to visit Munich and meet with both officials of TSV and mayor Dieter Reiter. TSV investor Hasan Ismaik also commissioned a feasibility study for the new stadium. He confirmed that potential relegation to the 3. Liga would negatively affect the plans.